Indian River’s Sarah Roehl pushes at the finish line during the Henlopen Conference Championships nearly two weeks ago. The Indian River High School boys’ and girls’ teams both participated in the event. IR’s top boys’ finisher was senior Patrick Spencer with his 20th-place finish, with a time of 18:40.15. Senior Sarah Roehl crossed the finish stripe as the top Indian female with her 56th-place finish, at 24:29.80. The Division II boys’ team state champion was Tatnall, while the individual championship went to Wilmington Friends’ Connor Nisbet. He completed the course in 16:12.57. The Division II girls’ team state champion was Ursuline Academy, while the individual champion was Keelin Hayes of Tatnell. She ran the course in 19:12.60. For the boys, Indian River, as a team, finished 10th out of the 30 schools that were in the event. Following Spencer for the Indians was junior Christian Galindo Lopez, with his 56th place and a time of 19:59.15. Five IR sophomores all came across within the top 100 out of close to 200 runners. Declan Burke was 58th (20:00.51) and Robert Senseny crossed in 71st place (20:21.33). Jackson Donnelly (92nd), Colin Hudson (94th) and Ben Spencer (98th) rounded out the Indians’ team performance. As a team, the IR boys’ average run time was 20:02.78. The IR girls finished 16th overall out of 29 teams that competed. Sophomore Lauren Meehan finished in 72nd place with her time of 25:17.11, while junior Talia Curcio crossed inside the top 100 at 98th, with a time of 26:48.22. 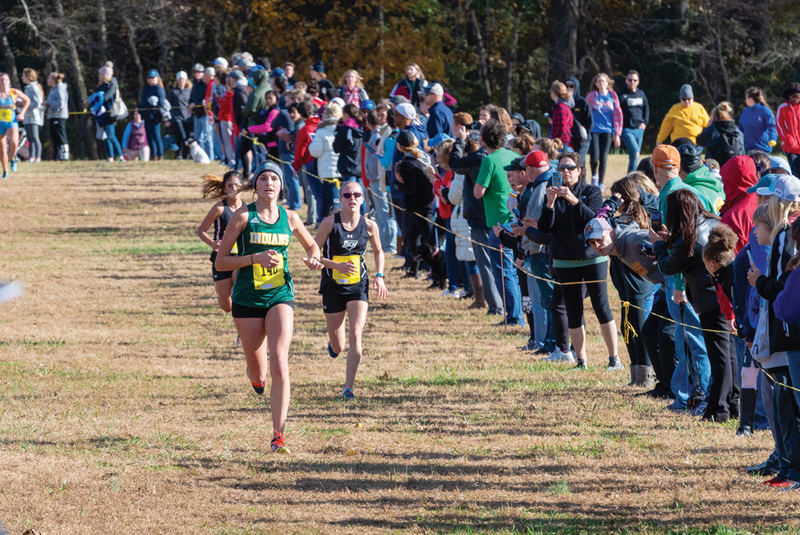 Senior Hannah Dunlap concluded her scholastic career for the Green-and-Gold with a 133rd-place finish. Angelina Arnold (119th), Lexi Hall (132nd) and Cassie McCabe (147th) rounded out the Indians who participated. The Indians’ girls’ team’s average time for the meet was 26:59.10. But with lots of youth on both squads, the future is bright for both of the Indians’ cross-country teams.